. The California Stormwater Quality Management Association (CSQA) published the Stormwater BMP Handbooks in 1993. A comprehensive update was published in 2003. The handbooks include guidance for sizing of stormwater detention ponds based on analysis of precipitation data from nineteen sites throughout California. The original handbook used HEC-STORM to develop graphs showing storage volume versus capture efficiency. The 2003 update of the handbook used NetSTORM and incorporated up-to-date precipitation data. The results obtained using NetSTORM were found to be consistent with the original study. 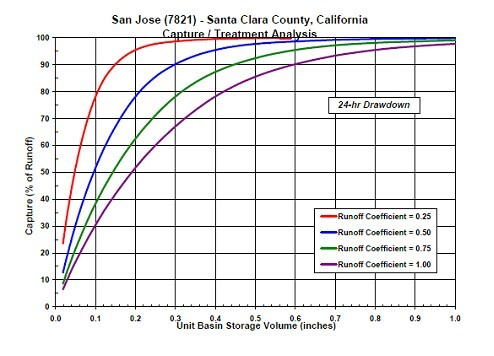 Figure 1 shows the storage – capture graph for San Jose, California. The STORM methodology for BMP sizing requires minimal additional effort, but offers a more rigorous approach than the national regression equation recommended by WEF/ASCE (1998). Figure 1. STORM Analysis for San Jose California (from CSQA, 2003).